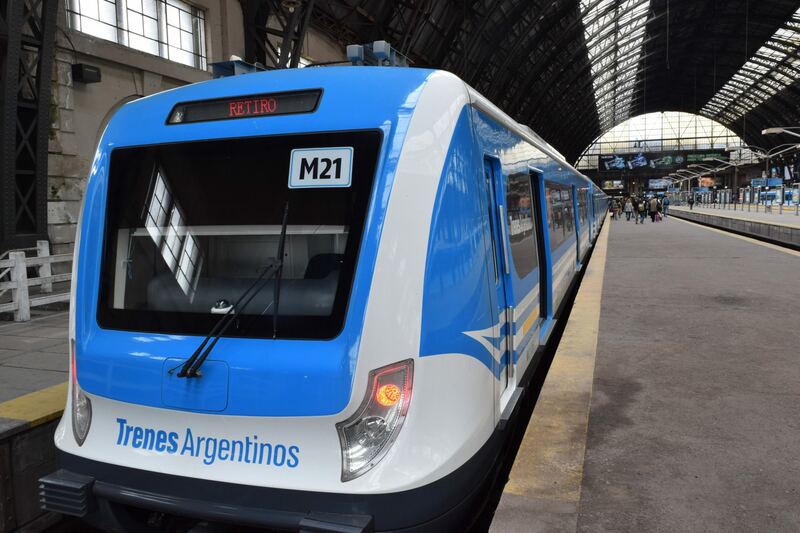 Argentina has launched an international tender for a fleet of 1,500 vehicles – the largest acquisition of rolling stock in the history of the Buenos Aires commuter network. The trains are being introduced alongside work to electrify the network, renovate stations, track, systems and signalling and the building of new tunnels to create Red de Expresos Regionales (RER), a planned mass transit system in the capital city. Once the new trains all enter service by 2023, train frequencies will be between every three and five minutes during rush hour, which will quadruple transport capacity. The 1,500 vehicles will be electrical multiple units and configured into 169 trainsets. The first one is expected to be operational in the second half of 2020. They will replace the existing fleet of 1,346 cars and feature air conditioning, free wi-fi, security cameras, automatic closing doors, automatic braking and have a capacity for 2,000 passengers. Real-time passenger information screens on station platforms will inform passengers about service statuses and seating capacity.The electric trains will also consume 15 per cent less power than their replacements. Up to 20 per cent of train components – such as windows and doors, lighting and car interiors – will have to be manufactured in Argentina as part of the deal. Authorities estimate that more than 2,000 indirect jobs could be created as a result. In addition to the main rolling stock contract, the tender also covers spare parts and train maintenance through five new local railway workshops for ten years.